My Nomadic equipment – the essentials! So I’m on this adventure and I want to keep up with writing on a regular basis this year. I’m one of those really fortunate people that doesn’t need to be in any one particular place at any time. With my laptop and internet, I can keep up to date, work on client projects and communicate with my VA and other freelancers we work with. So the real question is, what do I have with me at ALL times to make sure I can keep working? This is my essential nomadic equipment! I’m using a MacBook – bought about a year ago (Feb 2016). It’s the best piece of kit in terms of performance vs size/weight I’ve ever owned. It runs everything I need, be it Photoshop, or even Final Cut (break projects into smaller parts if you are making a big film). The truth is, the most used tools on my laptop are actually Google drive (Sheets more than anything else), Gmail for business and with Chrome, you can use both offline too. I’ve used Macs for 15 years now and can’t imagine going back to a Windows based machine, but I’ve been meeting other travellers that are happy with Surface Pro type tablet/laptop hybrids. I guess it’s personal preference on this one. iPhone 7 Plus – thanks to the EE upgrade programme (Dec 2016). My old EE contract used to mean I had to pay a supplement of £3 per day to have data and unlimited calls/texts in Europe. Now, for £50 per month, I get 25 GB data in the UK per month, and 15 GB in the EU. All calls unlimited and texts too. It works as a personal hotspot, which is great when you can’t find WiFi (or simply don’t want to leave wherever you are at that time). Massive bonus, not only am I saving some £90 per month on my contract, but the picture quality on the 7 Plus is simply AMAZING! Especially portrait mode. Everywhere I go I take my Apple wireless keyboard and a Magic Mouse. 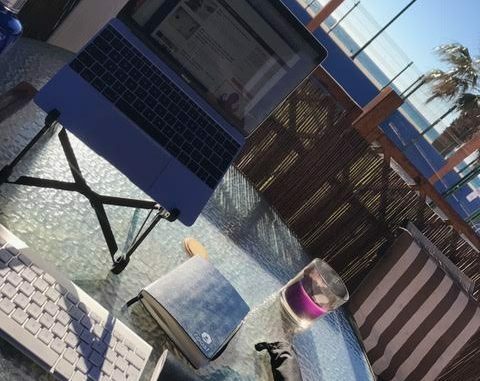 When you need to get REAL work done, be it writing an article / blog post / client content, you NEED a keyboard so as you can sit yourself in a good position. The mouse is essential when you are working on Photoshop or design elements too. 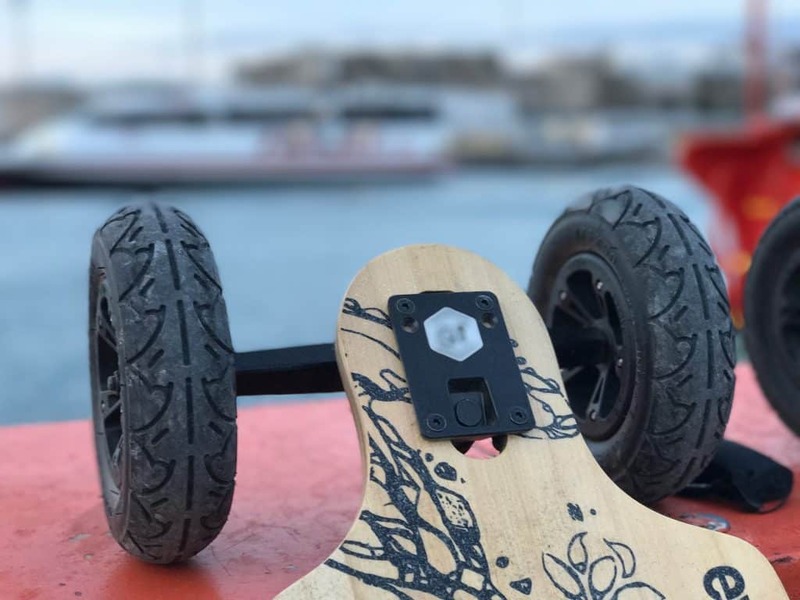 Evolve Skateboards – Got to try out these awesome electric skateboards in here in Tarifa. Click on the pic for more info. For this I invested a little bit of money in a Roost stand. It’s simple, effective and slim. It means anywhere you are you can put your laptop up to your eye level. 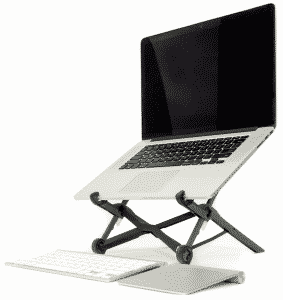 Gone are the days of leaning and hunching over your laptop whilst trying to get work done. I’m notoriously bad at this. I end up like the Hunchback of Notre Dame when working with just my laptop. I always have a notebook with me. Always. I’ve tried to digitise all notes and I use Evernote a lot when I’m on my phone/laptop. But when it comes to planning, or meeting notes whilst on the phone, everything goes in the notebook. There is nothing special, it’s just blank pages bound in a cover and a pen (promotional pen that was given to me). It’s still the best way to keep track of everything and plan ahead! For me at least! This is what I use on a daily basis to make sure I’m on top of everything and be able to get hours of work done anywhere I am. You get better and better at drowning out background noise, but my headphones (Apple’s standard headphones that come with the iPhone) and Spotify usually help with that too. 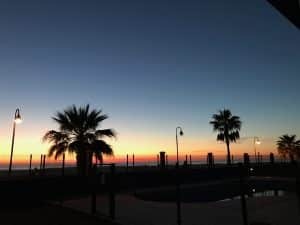 Written in Tarifa, sat on a terrace, working away and writing this, in the sun, in a T-Shirt and jeans, thinking, I love this life!